In an earlier post I mentioned that only 75 wineries have permits which allow drop-in tastings, and many more wineries offer tastings by prior appointment only. But there is another category of wineries who not only don’t have a permit, but don’t have a winery to visit even if they did have a permit. So how does one go about tasting those wines? 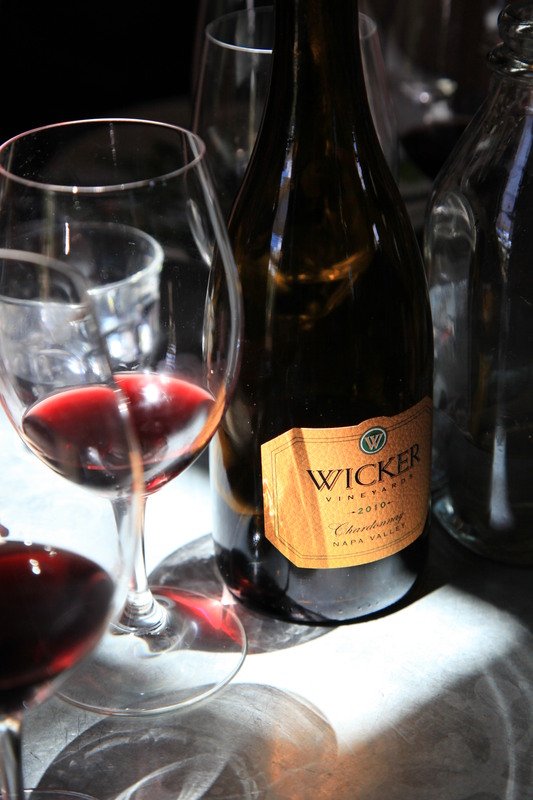 This was exactly the situation I faced last week with a wine I had heard good things about–Wicker Vineyards–which is produced in very small quantities, has limited distribution, and doesn’t have a place to visit and/or taste. A new Napa friend who knows his wines told me about Wicker Cabernet, and I looked it up on the web. 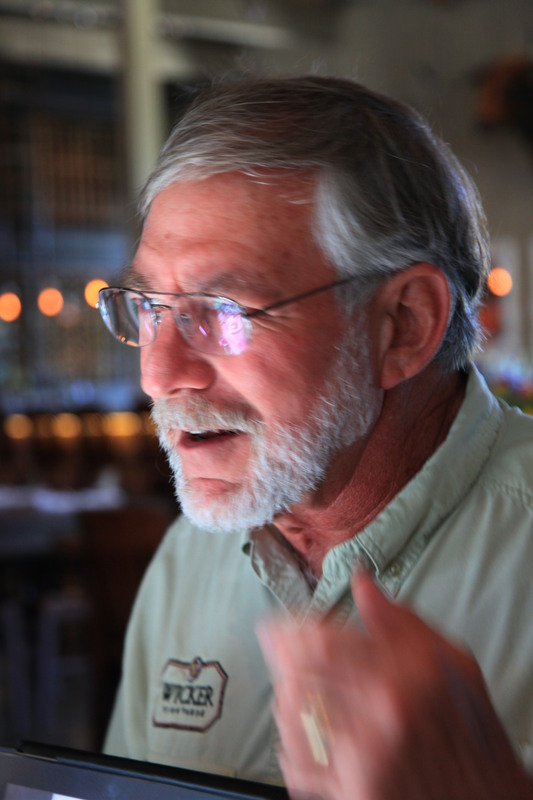 Ron Wicker and his wife, Lisa, only make about 200 cases of this Howell Mountain wine a year, and it’s not Ron’s only job (he owns a vineyard management company here in the valley, which means he takes care of other peoples’ vines.) But over the years he has grown some grapes of his own, and more recently has even sourced fruit from the Carneros AVA for some Chardonnay, so he now makes a couple of really nice wines. But you won’t find them at BevMo or Safeway. After reading the website, and noting which local restaurants carried the wine, I had a bold idea: I emailed Ron and introduced myself and asked if we could buy him lunch, buy some of his wine from the bar, and get to know him and his wine. Within an hour he replied and said he would be delighted to meet us, and asked if he could bring Lisa as well. Since wine and women go so well together, naturally I said yes! And so we were on. Our dear friends Dave and Robin were visiting us that weekend, and they are huge fans of good red wine, so this was a special surprise for them. When we arrived at the Farmstead Restaurant at Long Meadow Ranch in St. Helena, Ron was already at the bar waiting for us. It turns out that Ron can often be found here, since it is close to his home and they carry his wine on the menu. We were all seated, and Lisa joined us a few minutes later after driving over from their nearby office. What ensued over the next 2+ hours was a wonderful afternoon filled with excellent food and wine, lively conversation and delightful people. Ron and Lisa are two of the nicest, most down-to-earth folks you could hope to meet. 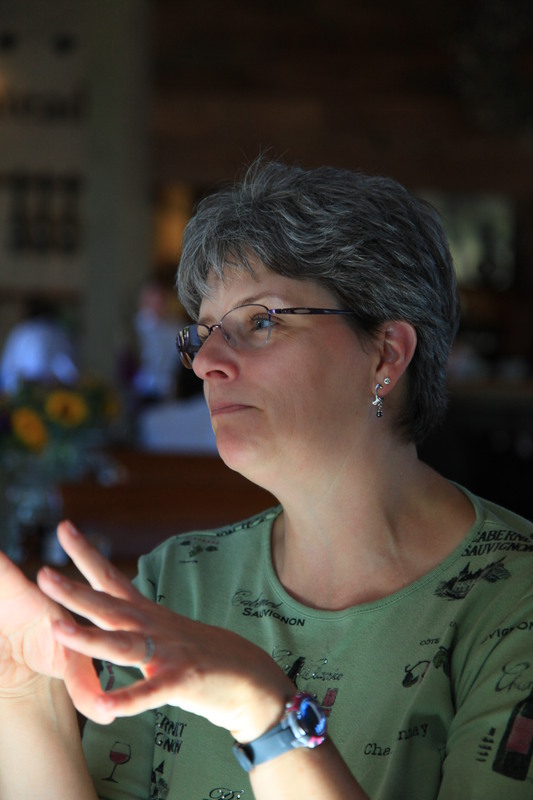 They embody the reasons that we moved to Napa: the convergence of food, wine, people, and nature, which creates magic. 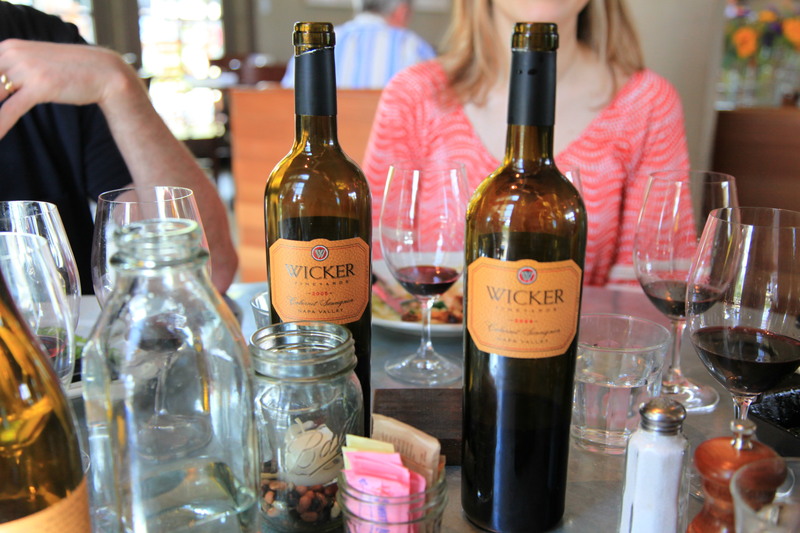 We experienced some of that magic during our lunch as we got to know the Wickers and their wine. Ron unexpectedly brought some of his wine to the lunch, which the restaurant opened and served, and I bought another bottle of Cabernet off the restaurant menu, of a different vintage. And here is where the title of this blog entry comes into play. When I first read Ron’s website, I had the impression that he had not kept it current, because the most recent Cabernet listed was the 2005. During lunch we learned that Ron bottle-ages his wine until he believes it is ready to drink. And apparently he is a very patient man! The restaurant was serving/selling his 2005, but Ron told us that he “jumped the 2004” and released the ’05 before the ’04, because he did not think the ’04 was quite drinkable yet. He brought a bottle of the ’04 to lunch and it is extremely good, so I am sure he will be releasing it soon. Ron likes the “Wow!” factor that happens when people try his wine for the first time and experience a very mature, full-bodied wine, as opposed to those new wines one tries the first time which were only recently bottled. Because Ron has a day-job and does not rely solely on the income from his wines to keep a roof over his head, he can afford to keep the wines in storage until he deems them ready to drink. And we all benefit from this decision. I salivate to think that he already has five more vintages percolating somewhere waiting to be released when the time is right. The Chardonnay comes from grapes he sources from Carneros, and he employs a “hybrid” approach to making this wine. While most chardonnays are either “minerally” or “oaky/buttery,” Ron’s Chardonnay is some of each. He uses both steel tanks and oak barrels to produce a very pleasing wine that has attributes of both styles. Ron and Lisa have been pleasantly surprised at the market reception for this wine, and he has recently signed a distribution deal for the Chardonnay, so it may start to garner a little more attention. Ron and Lisa are sincere and genuine people who enjoy watching people enjoy their wine. We are already planning more get-togethers with them where food, wine and family and friends will be present, because that is what the Napa Valley is all about.